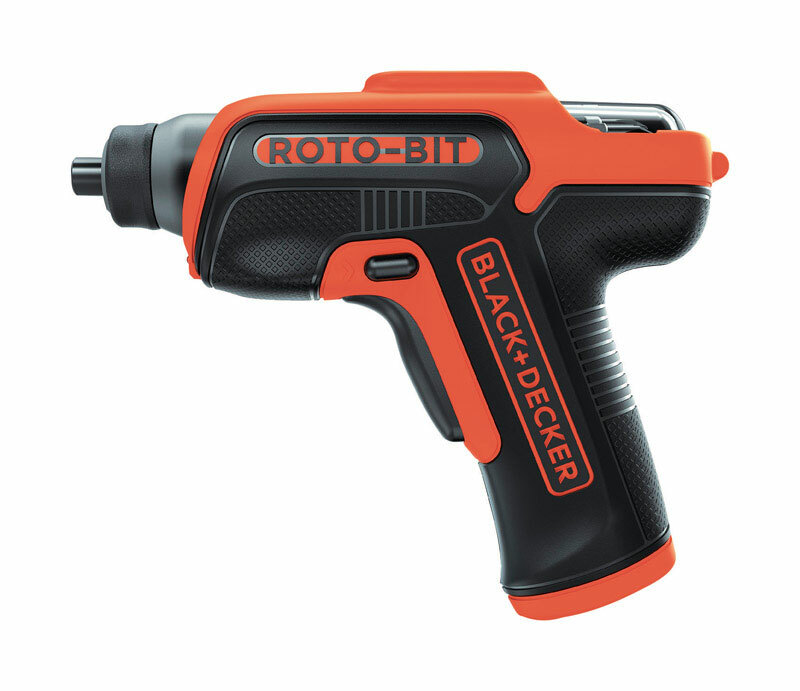 The BLACK DECKER BDCS50C 4V Roto-BIT Storage Screwdriver features 4V Lithium power that holds a charge up to 18 months. This screwdriver has a rotating bit cartridge that stores bits and provides easy accessibility - and also includes 8 bits for a wide variety of tasks. An on-board magnet holds extra screws, freeing up your hands for other tasks, and it has an LED light which illuminates your work surface. Backed by BLACK DECKER's 2 year warranty.